Wireless internet has been around since before the start of the new millennium, meaning it’s not exactly a new thing. It’s gone through huge advancements since then and gotten faster and more stable, too. But has it found a way to catch up to a wired internet connection? Can wireless internet reach the same speeds as wired? The short answer is no. Without a huge advancement in our internet technologies, wireless will almost always be beaten by a wired connection. I only say ‘almost’ because certain issues in wiring can cause speeds to drop. In other words, as long as there are no issues, wired connections win. Why? To put it simply, because the internet is travelling straight from point A to point B. Think of the internet as a car. With a wired connection, you get to drive on the road straight to your destination. With wireless, you’re travelling through the woods in that same car. Sure, you can get to your destination, but you might have to go through a few trees to do so. Even though wireless can’t reach the same speeds as a wired connection though doesn’t mean they can’t reach the speed you’re paying for. The fact is that the difference in speeds will likely be negligible. 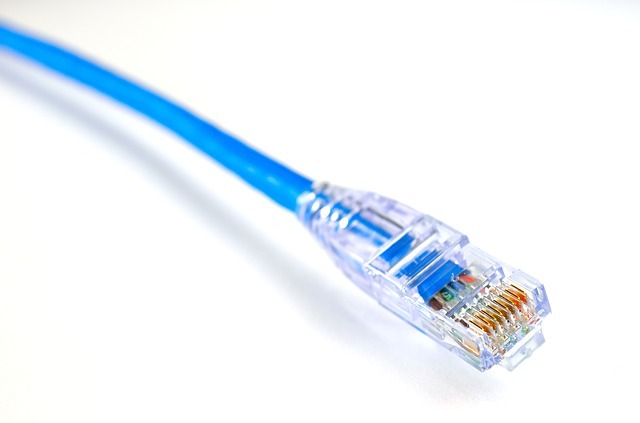 So, while wired connections are faster, wireless is still fast and should absolutely not be disregarded. Why choose wireless over wired, then? If speed was the only thing to look at then yes, wired would definitely win out. In fact, even stability-wise, wired wins out. Wireless connections do still have a lot of benefits though. For starters, you’ve got less instalment costs. Running wire all throughout a building costs money, especially if you need it in the walls or floors. You’ve also got a higher versatility. Depending on your company, you could offer internet to customers or clients. You can also cover a bigger area with internet faster and cheaper than the alternative. Employees can also use devices other than computers with ease, as phones and tablets may be required for testing or development. So then, what’s the verdict? I’ll say it again, wired speeds are higher than wireless and likely always will be. Unfortunately, the speed increase tends to be only a drop in the bucket and so I’d look into wireless connections for the office.